When you adopt an orphan you will receive a certificate, factsheets and photo of your orphan, plus regular updates on their progress. Help our work with Zululand Rhino Orphanage to care for and protect their rhino orphans by becoming a Helping Rhinos rhino orphan adopter from just £5 a month. 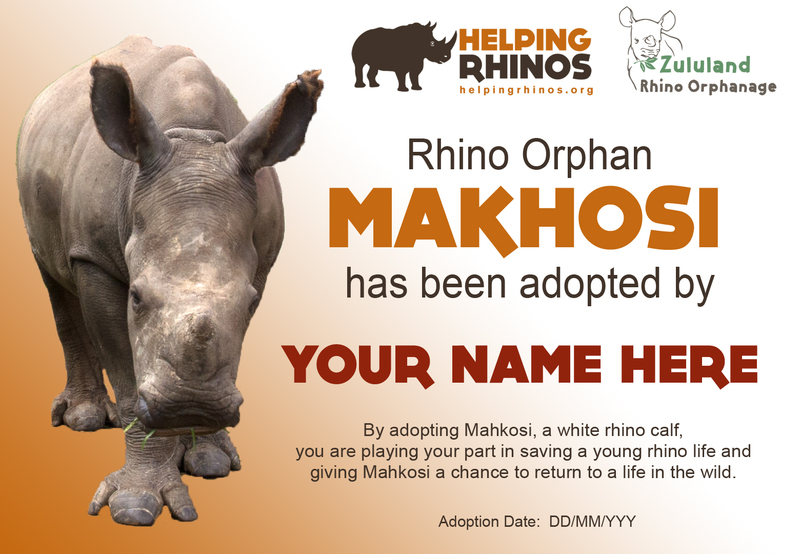 A rhino orphan adoption also makes a fantastic gift for your friend, loved one, relative or colleague. South Africa's Zululand Rhino Orphanage was born out of tragedy. Zululand's previously only dedicated rhino orphanage was brutally attacked by poachers in February 2017 and, following much deliberation, the decision was taken to close the facility for security reasons. There was a need to rehome the young rhinos (and hippo) that resided at the previous orphanage. Caring for and being 'mother' to a rhino baby is no easy task! It may look like the best job in the world, but it is a tough one. 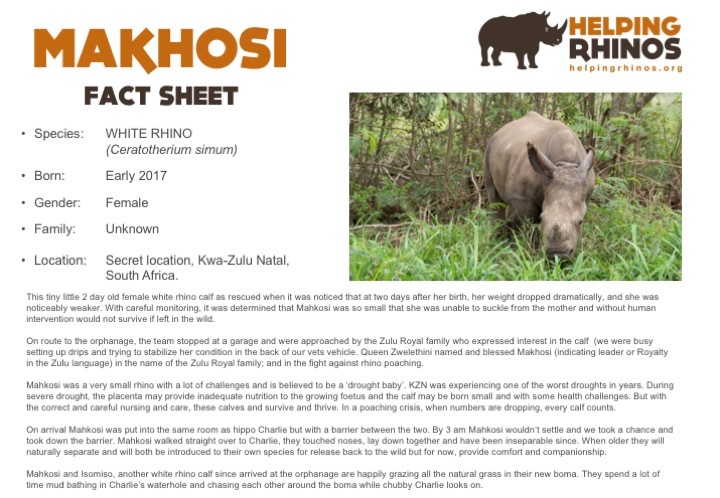 Click below on the rhino you would like to adopt, scroll to the bottom of the page to choose your adoption tier, payment frequency, and the names of up to two friends you would like to add for half price . Then on the right, see all the benefits you’ll receive as part of your rhino (or hippo) adoption.